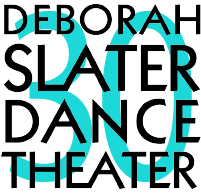 Support DSDT as we enter and weave our way through our 30th year of making work! A multi-media dance company, DEBORAH SLATER DANCE THEATER makes visually gorgeous, acrobatic, talking dance. 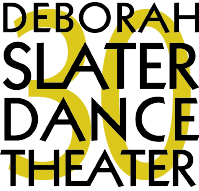 DSDT is dedicated to the creation of works that explore social issues using humor, original movement, text and/or music. DSDT structures stories, folklore, history, and contemporary culture that overlap like Venn diagrams. How can we hold two different points of view on a subject at the same time? To what extent does the act of perceiving reflect or distort reality? Our umbrella nonprofit, ART OF THE MATTER PERFORMANCE FDN., is founded on the belief that art and everyday life are not separate events but that art is the human attempt to create meaning and to introduce formal shapes and paths through the chaos of the life experience. DSDT's focus has been on bringing experimental art forms and educational outreach into the community since l989. The work formalizes informal gestures - It is in the physicalization of psychological states, in the deliberately timed turn of a head, the repeated motion of an arm reaching out and drawing back, the clenching of the ribs, the restraint of a stylized step – depicting first one character and then the next. By acknowledging the power of 'body language', Slater, working as Director in close collaboration with her performers, highlights and underscores dramatic themes, establishing the dreamlike environment of the piece and preparing the audience for an alternative reality. The inter-weaving of movement and language is seamless. The specifics of each performer create a whole ensemble language. Your year-round support is what keeps us engaged in the present! You can also mail a check to "Art of the Matter Performance Fdn"
You bring the worlds of our artistry together! You help us connect our work to everyday life! Thanks for partnering with us!! Any amount - big or small - goes a long way to keep us moving..
Based on the amount you give, we'll determine how it aligns with the levels we've set up. We'll be sure to thank you accordingly. Your contribution works to give meaning to life's chaos! You help us to formalize informal gestures! You're guiding us to interweave movement and language! Three decades exploring timely social issues. 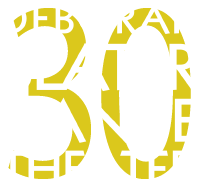 Three decades structuring folklore and contemporary culture. Three decades connecting art and everyday life. Three decades formalizing informal gestures. Three decades inter-weaving movement and language. Three decades making meaning out of life’s chaos. Three decades and still going. Please help us stay in the Bay Area and continue to bring programming to you, our community. All photos of Hien Huynh, Derek Harris, Meegan Hertensteiner, Jenny McAllister, and Heather Arnett by Robbie Sweeny. Photo of Deborah Slater at the Walt Disney Center in LA by Dalton Alexander.